Rev. Earl J. Hölé, 82, of Dunn died Monday evening January 21, 2019 at Wake Medical Center in Raleigh. Rev. Hölé was born July 15, 1936 in Kings County, New York son of the late Johnnes and Julia Mickelson Hole`. He was an outstanding evangelist, and was a blessing to any congregation. He had ministered for many years. During these years he has been active in many fields of religious service, evangelism, pastoral, seminar teacher, counselor and discipler. 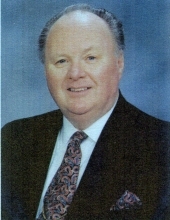 Most of Dr. Hole`’s ministry had been dedicated to the evangelistic ministry, for which God has given him an anointed ministry. He was also an accomplished trumpet player. His singing was not only a talent, but a God given ministry. He was a conservative minister, one who preaches the entire Bible, but yet he was forceful and enthusiastic. He was very appealing to each member of his congregation. A man on fire for God, an avid soul winner. He was the instrument by which many have found God. With the help of the Lord he left an imprint in the hearts and minds for the cause of Christ for years to come. A memorial service will be held 2 p.m. Sunday, January 27, 2019 at the Erwin Church of God with Rev. Timothy Cowan officiating. He is survived by his son, J. Konrad Hölé and wife Lourdes of Salinas, California; fiancée, Sarah T. Williams of Dunn and five grandchildren. The family will receive friends following the service at the church.Arrangements are by Skinner & Smith Funeral Home. To send flowers or a remembrance gift to the family of Earl J. Hölé, please visit our Tribute Store. "Email Address" would like to share the life celebration of Earl J. Hölé. Click on the "link" to go to share a favorite memory or leave a condolence message for the family.